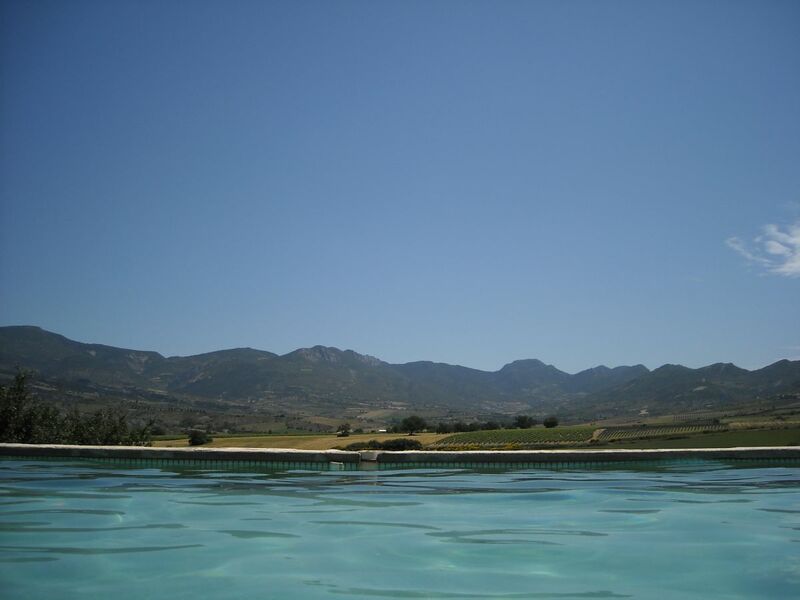 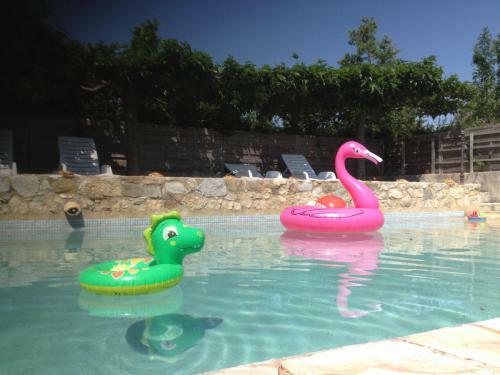 The swimming pool of our holiday home in Provence - Drome. 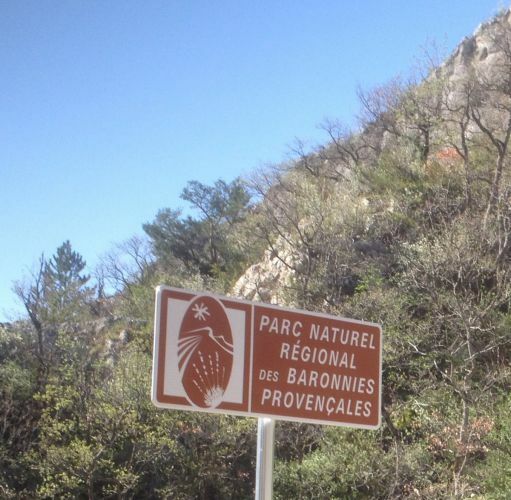 Immerse yourself in Mother Nature! Filled with spring water from the estate, its large dimensions (10 mx 5 m) allow several people to enjoy swimming without any inconvenience. 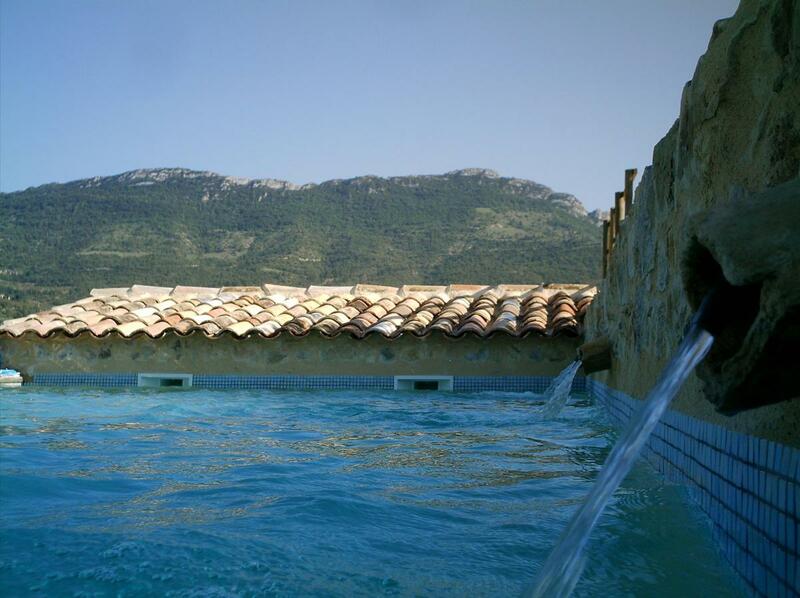 The water is heated by a solar mat. 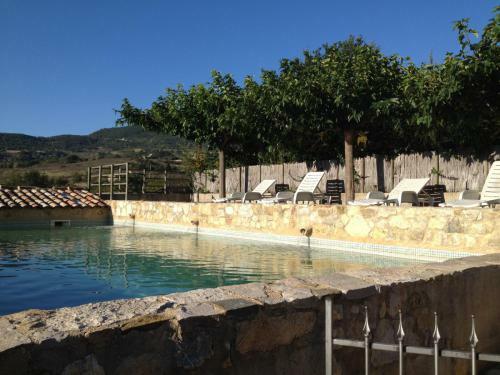 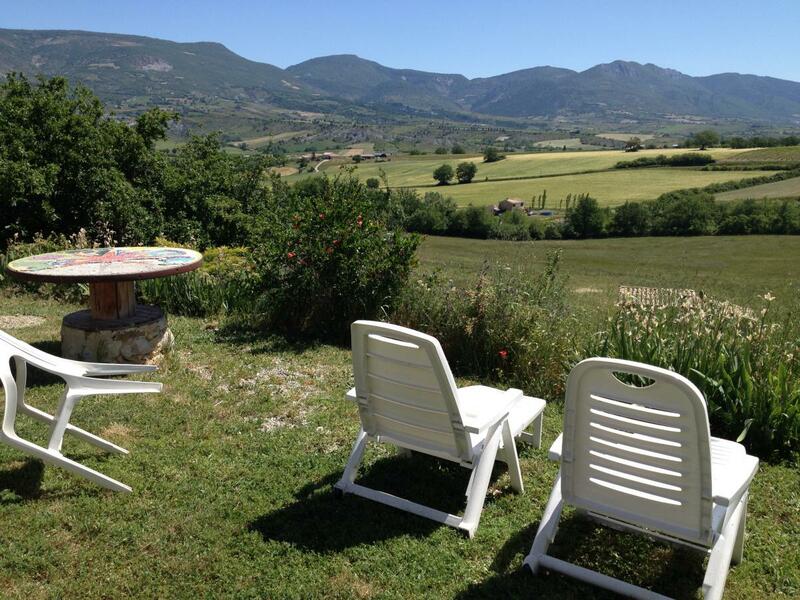 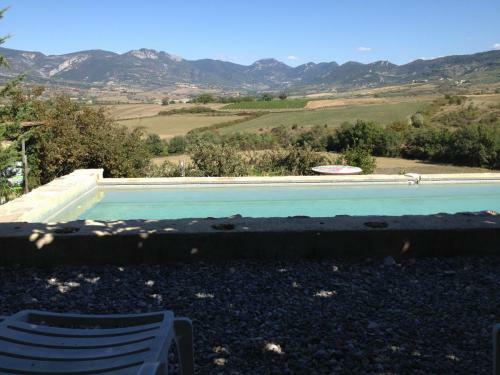 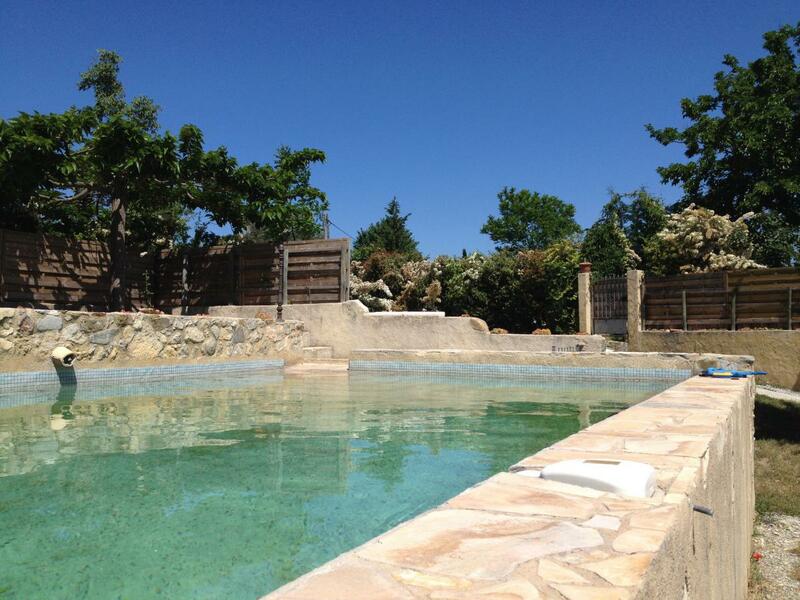 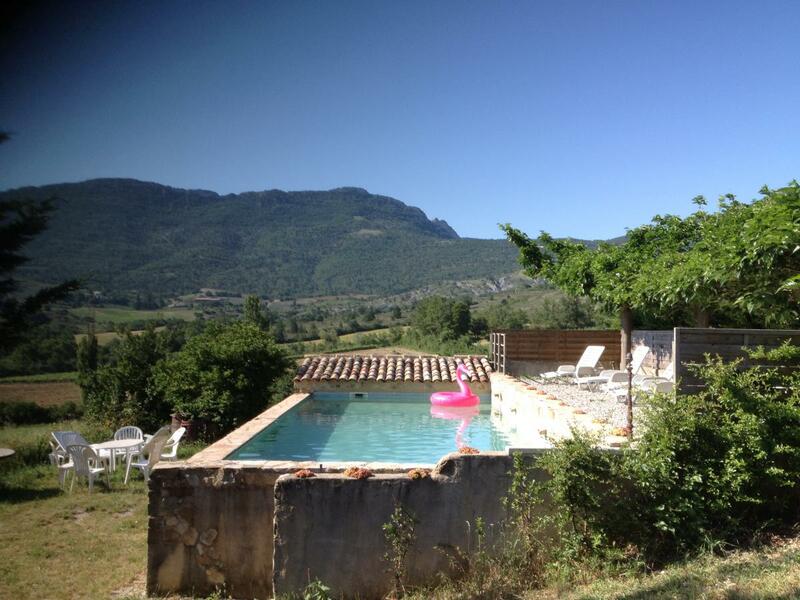 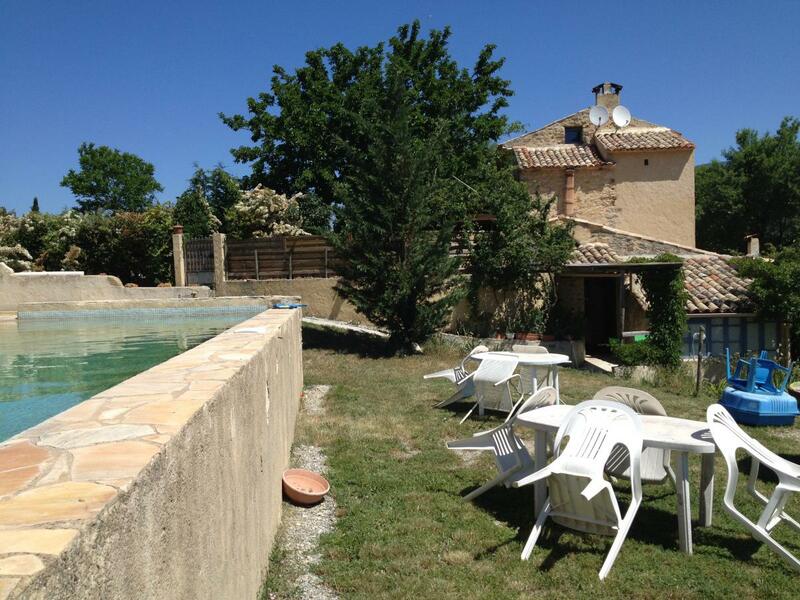 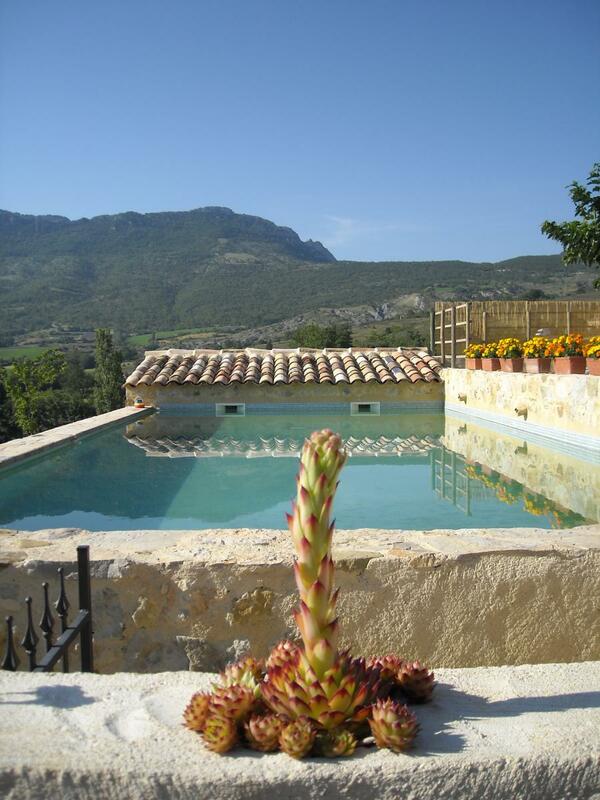 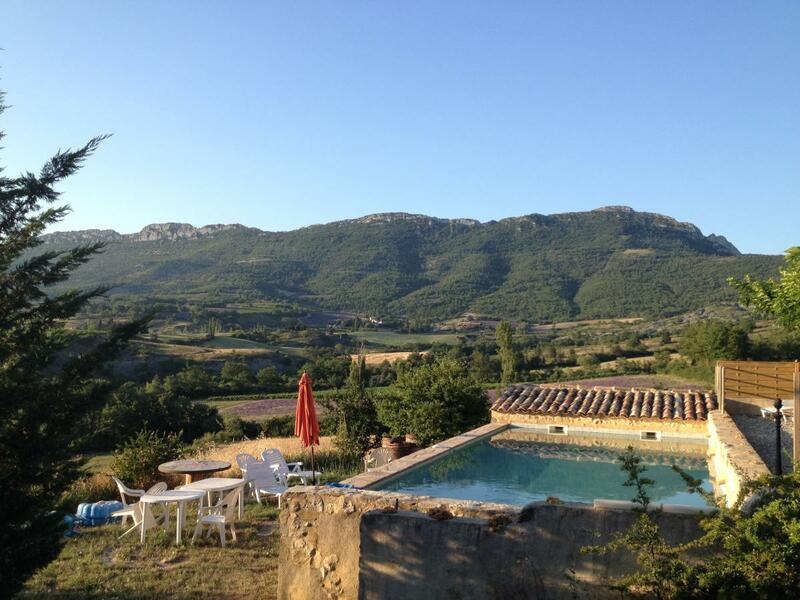 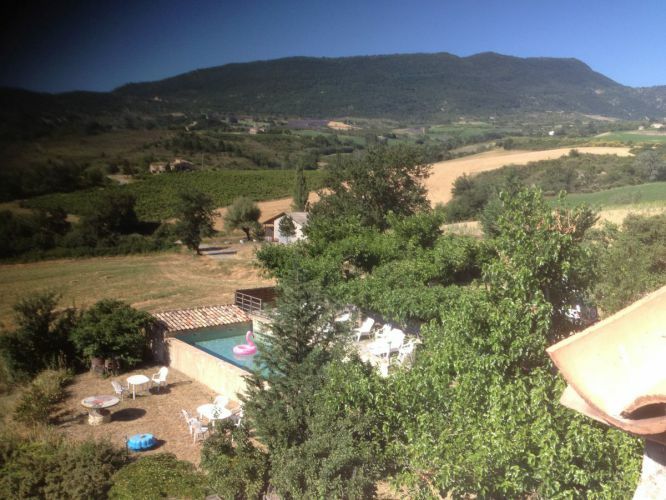 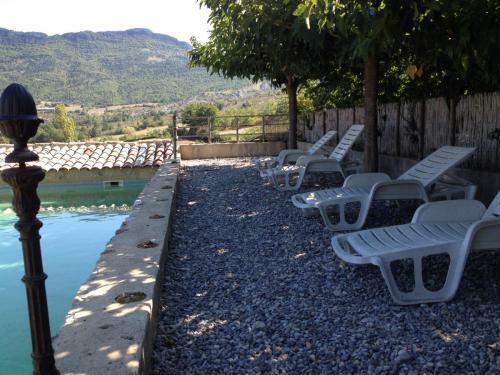 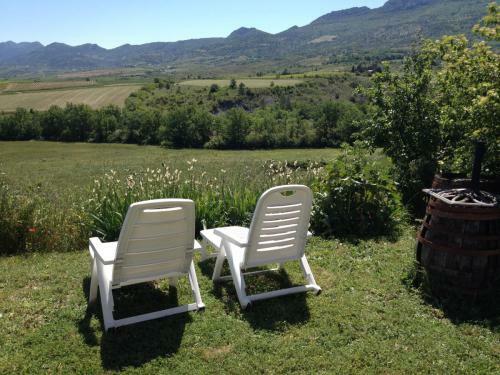 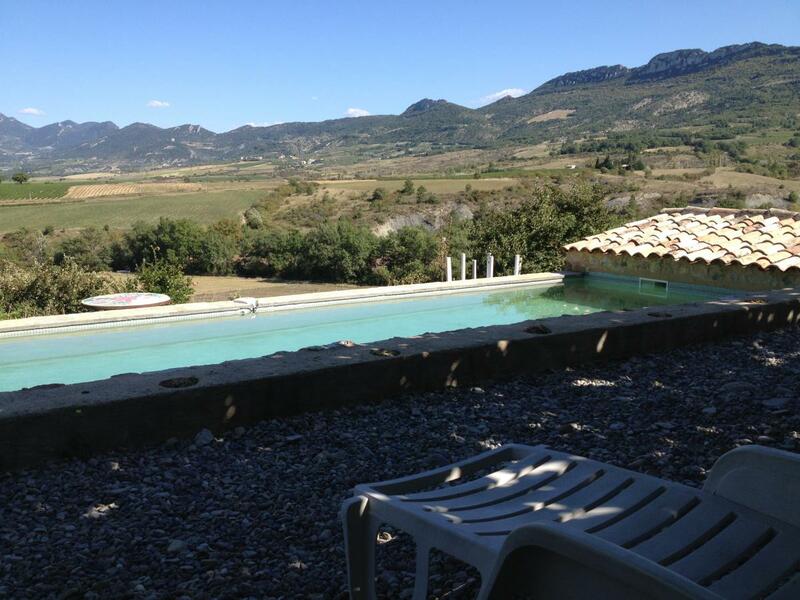 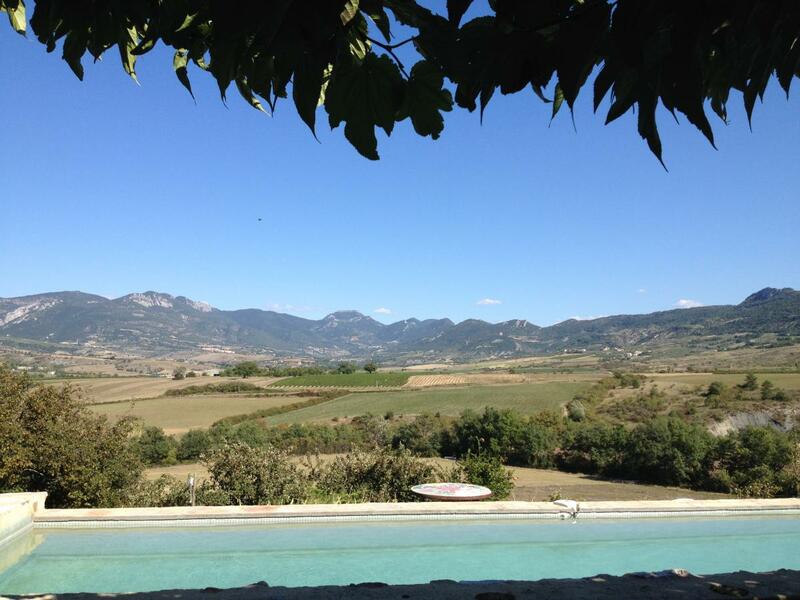 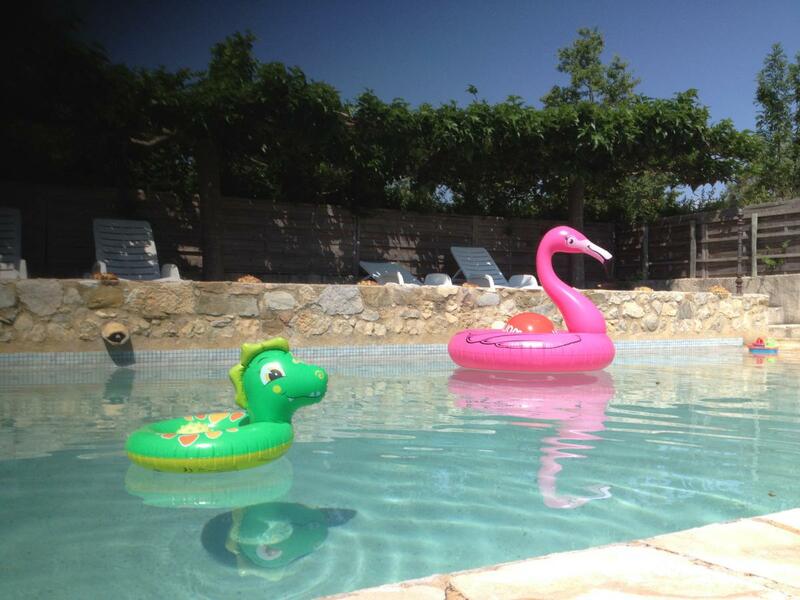 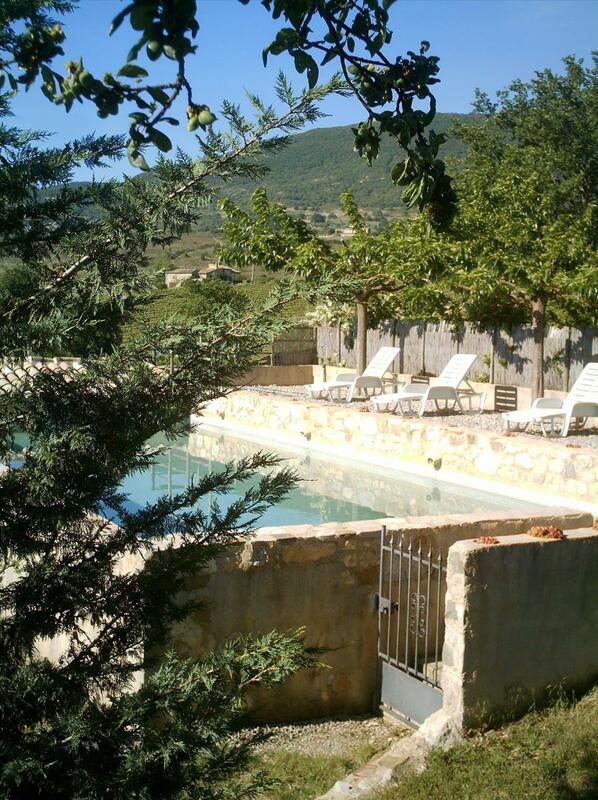 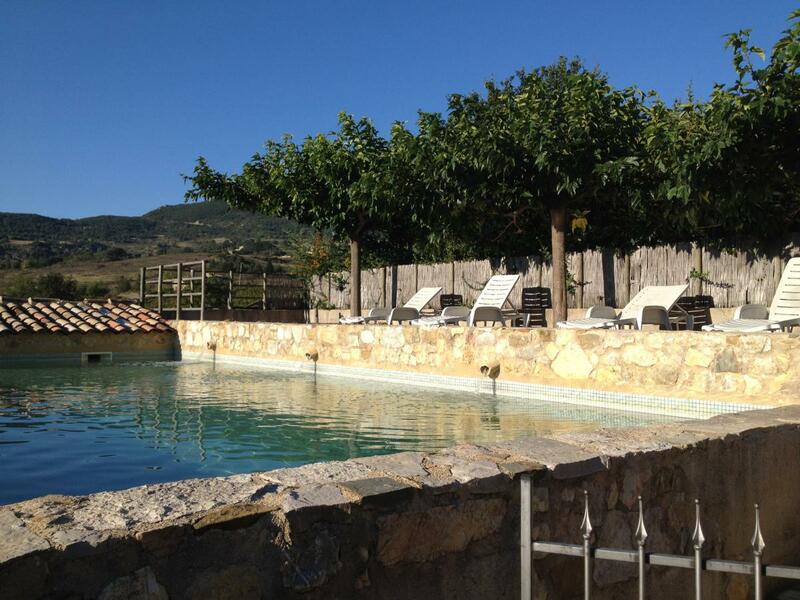 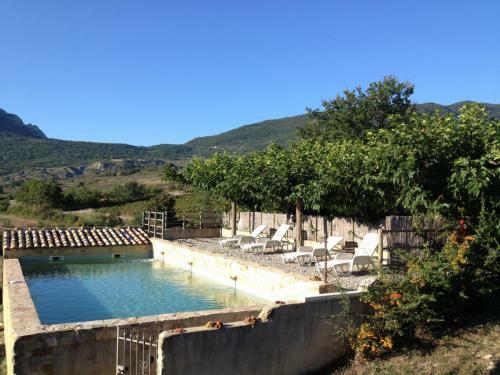 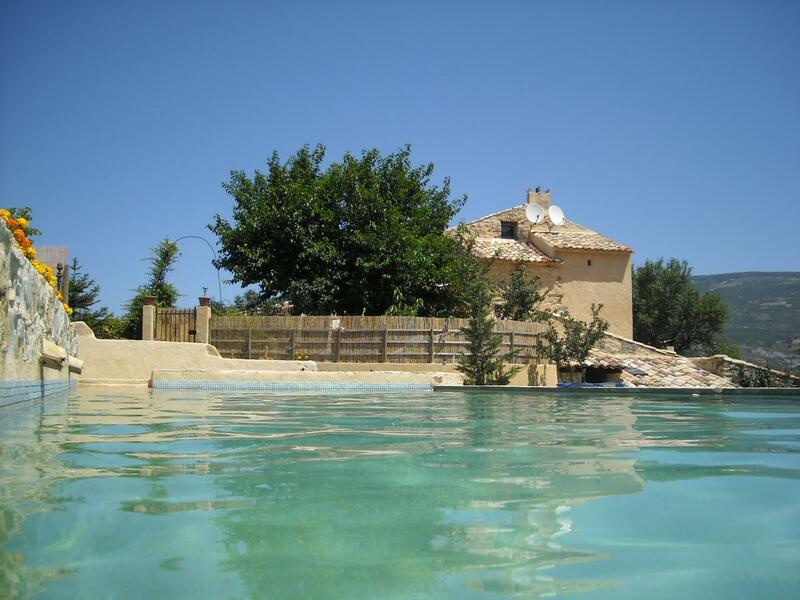 The pool is exclusively reserved for the guests of our gites in Provence. 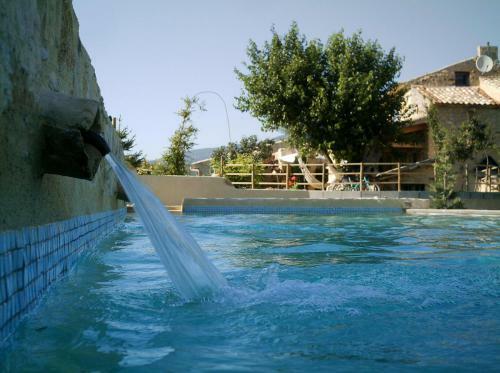 The children can enjoy it thanks to the uniform depth of 1.25 m, which allows water games (its access remains under the responsibility of the parents, who must always accompany them). The shaded by trees terrace and the sunny terrace, are equipped with sun loungers. 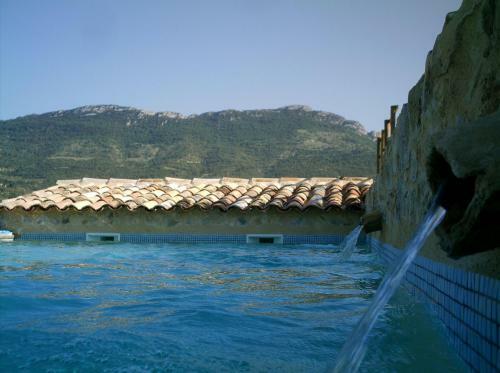 Cherry on the cake, the pool offers a breathtaking view on the valley and the surrounding mountains: 150 km2 of landscape for your eyes only!